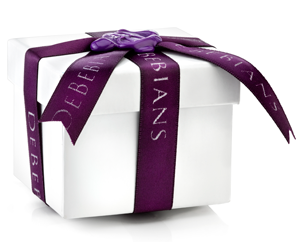 While you are exploring deBebians.com and all the fine jewelry options we have to offer, be sure to check out the following sections, too! Check out our recently purchased engagement rings, the celebrity engagement rings, and our jewelry gift ideas! I think you will find lots of inspiration in these sections and perhaps get an idea for what you are looking to purchase. 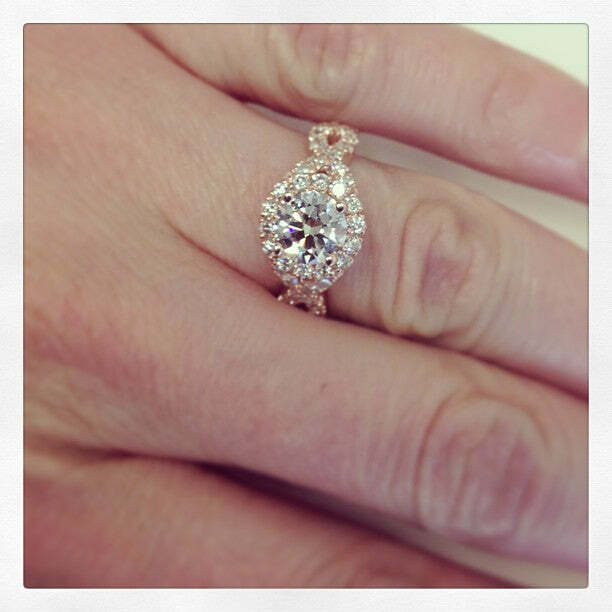 Style # HE108 in rose gold, as seen in our recently purchased engagement rings section. One of my favorite sections on deBebians is our ‘recently purchased section’. Here is where you can view most of our recently purchased jewelry, including engagement rings, eternity rings, diamond jewelry and more. These real life images show you what is currently trending as well as gives you an idea of how a piece will actually look in real life! I often send customers to this section to get a feel for how certain diamond carat weights will look in real life. Sometimes it’s hard to visualize different diamond sizes and this section is a great reference for any buyer. Giuliana Rancic’s engagemment ring is featured in our celebrity engagement rings page. Our celebrity engagement ring section is where customers seem to get inspiration for their own engagement rings. Often I talk to customers who like different aspects from different celebrity engagement rings. Since we are a manufacturer, we can combine different ideas from different rings and come up with a truly one of a kind ring! If you haven’t had a chance yet, check out this section and get inspired! After you have more of an idea of what you want, call us or send us an email through our Custom Engagement Rings and Jewelry section.